In with the Big... I've had my 3719 for about 7 years and still love it but wanted a change - was struggling between the Big Ing and a 5009 but went with the Ingenieur. I think this one is basically a direct replacement so will move the 3719. 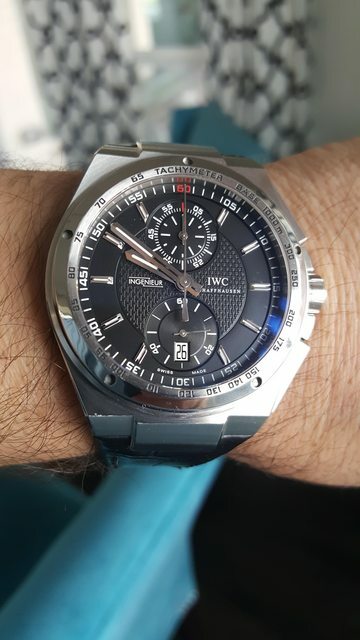 Really love it so far, the legibility is off the charts - as good or better than my first decent watch, the Speedy. Just need to get a deployant for this guy now. I think this, a 5001 and a Big Pilot would be the perfect collection for me. Question for BP owners - does the BP work as a dress watch for you? I'm thinking that should be next and I may not need the Port.